Louise has studied with Dr. Veronica Dunne and Jean Holmes. She graduated with distinction in vocal performance from Trinity College London (A.T.C.L and L.T.C.L) and she holds a Masters degree in Ethnomusicology from University of Limerick and a Bachelor of Arts degree in Music and English from Mary Immaculate College Limerick. Louise’s time with Anúna saw her tour across USA, Europe, the UK and of course at her home in Ireland. We all have dreams and there are people among us who earn their living from ensuring other peoples dreams are realised. The special moments in their lives are guaranteed to be time capsules full of the very best and most memorable & perfect times of their lives. Soprano Louise Harrison is one such person. This Limerick based beauty and former vocalist with Anúna is one of Ireland’s finest female vocalists. Louise’s name may not familiar to you yet but this will change with the release of her debut solo album “Dream” on 5th December 2008. The release of this album sees Louise realise her own dream. When asked ‘Why now?’ Louise replied…”My wonderful mum Gerdie and my gorgeous Dad encouraged me from the day dot! “ …she continued – “I have loved all elements of my career to date. The studying, the training, the performing and the teaching – all of it. However, in recent years in particular, the words that my late father John would say… ‘take a risk, life is not a dress rehearsal’ replayed over and over in my mind. I love my teaching and my live performances. I had personally held the ambition of releasing my own CD for a few years now and decided that 2008 was the year it was realised”! Containing twelve of Louise’s favourite tracks, “Dream” was recorded at Silverwood Studios with Gavin Ralston and was produced & arranged by Joe Csibi. One of Louise's highlights was singing for the Irish President, Mary McEleese. 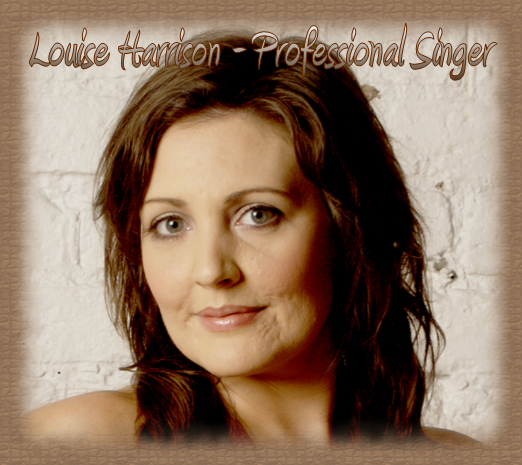 Louise has performed at weddings for the last fifteen years and enjoys every one. She is very grateful to have been involved in creating a beautiful atmosphere for couples on their special day and some of their testimonials can been seen here.